If you’re in the market for rubber flooring, chances are it’s your first time purchasing. It can seem overwhelming at first, like a new world. Don’t worry; we’ve got all your rubber flooring questions answered. Most people have never heard of rubber flooring until the time comes when they need to buy it. It’s not exactly like buying a new toothbrush. It’s kind of a foreign product and, of course, you want to make sure you’re choosing the right floor. 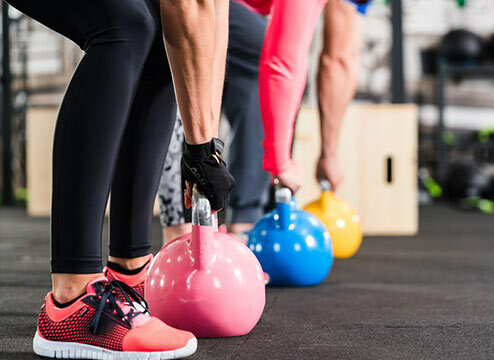 If you’re in the market for flooring for your gym, high-traffic space or outdoor area, you’ve come to the right place. Rubber flooring is an extremely versatile specialty flooring option perfect for just about any space. Now, before you commit to a floor, let’s make sure we can answer all your questions. Below, you’ll find our most frequently asked customer questions all compiled in one easy-to-find place. To warm us up, let’s start with a little overview. Before you purchase any floor, you need to know exactly how you’ll be using it and whether or not it can hold up to whatever you throw at it. The quick answer is: yes! Super durable, in fact. 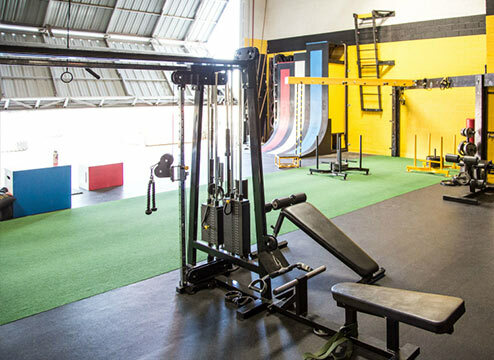 Rubber flooring is specially designed to stand up to heavy workouts and high-traffic areas. That means it can take a beating from your barbell and it can hold up to hundreds of people walking over it for days on end. Of course, durability varies between products. 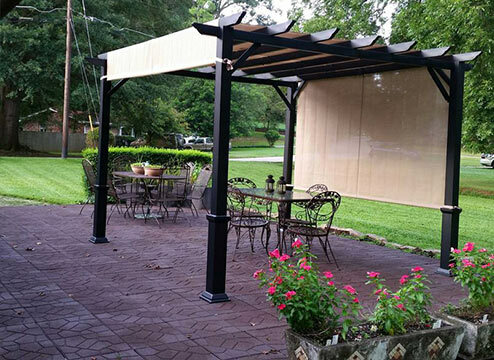 All rubber is durable for your high-traffic and commercial spaces. When it comes to gym and playground flooring, that’s where it gets a little more tricky. While the common misconception is that thicker rubber means higher durability, that’s not really true. The thickness is more of a bodyguard for your subfloor, with thicker rubber protecting your subfloor from heavier weights. Durability, however, is about density. A super dense rubber is super tough and durable, while a low-density rubber can be ripped apart with your bare hands. Vulcanized and virgin rubber are the most durable, while eco rolls are the least. If you need superb durability, make sure to avoid those eco options. Where is rubber flooring used? Rubber flooring is extremely versatile. 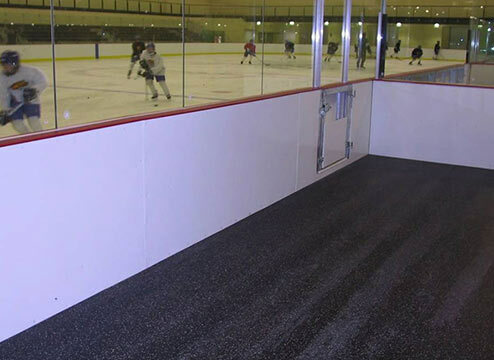 While primarily used as gym flooring, rubber flooring is also commonly used in playgrounds, outdoors and other high-traffic areas that require durable and/or waterproof flooring, such as doggy daycare, dugouts, basements, boats, storage sheds, ice skating rinks, locker rooms and more. One of the best things about rubber flooring is it’s extremely water-resistant! Spilled water, sweaty workouts, heck, even the ocean! No water is too much for rubber flooring. In the event that you need to be 100% certain no water ever reaches your subfloor, you can use a seam sealer where the tiles interlock or where your rolls meet. However, for most cases, that is not necessary. 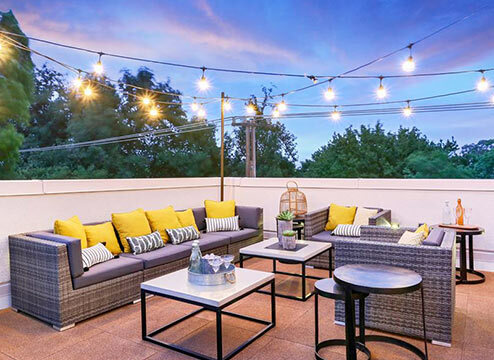 Can rubber flooring be used outdoors? Rubber floors are a great outdoor flooring option, as well. They are ultra-durable, specially designed to handle lots of use and abuse. Keep flooring covered. While some outdoor rubber flooring options are UV-stable, others may fade under direct sunlight. We suggest checking the product to make sure you take proper precautions. Be cautious of the elements. While rubber flooring is water-resistant, there are many more elements that get into our rain and snow, such as salts. Most rubber flooring is porous and salts can get trapped in the pores. Account for expansion. With temperature fluctuation, rubber flooring may expand and contract. Once you start shopping, the process can quickly become overwhelming. There’s honestly not a lot to it once you get started. Here are the main things you need to know when you start shopping for rubber flooring. Rubber flooring ranges in price from under $1/sqft all the way to over $18/sqft. There are many variables that factor in to determine cost. 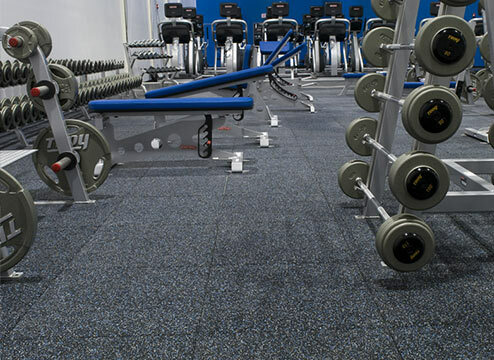 Our most popular gym flooring typically runs anywhere from $1.50/sqft-$3.50/sqft. The good news is, rubber flooring is super DIY-friendly so your cost (typically) just comes down to materials and shipping. 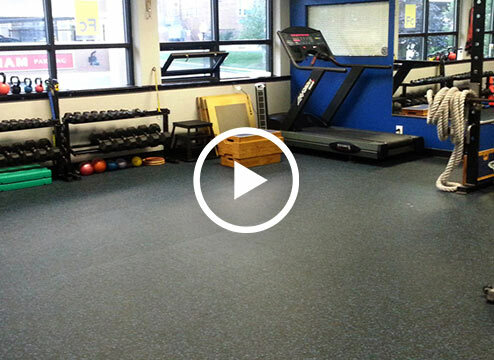 Here’s what it would look like to floor a typical 10’x10’ home gym with rubber floor tiles. And here’s what it would look like to floor a typical 10’x10’ home gym with rubber flooring rolls. Note: Prices vary and are subject to change at any time. Shipping costs vary by location and these averages were calculated averaging locations in the US, excluding Hawaii and Canada. How do I choose the right thickness for rubber flooring? Ultra-thin rubber flooring can hold up to bodyweight exercises, light dumbbells, high-traffic areas, etc. Medium thicknesses are great for commercial gyms, CrossFit, powerlifting, Olympic lifting etc. 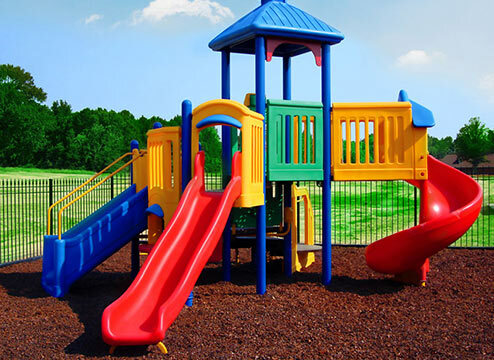 Ultra-thick rubber tiles are typically used for playgrounds where you need premium shock absorbency and safety ratings. 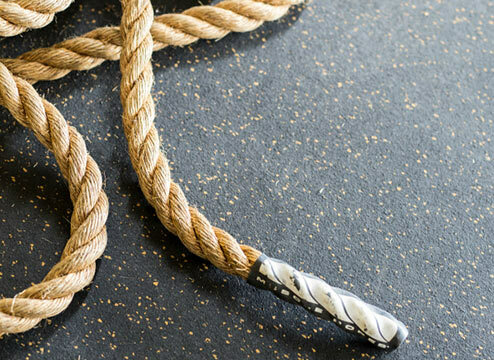 8mm – Most popular for home gyms. 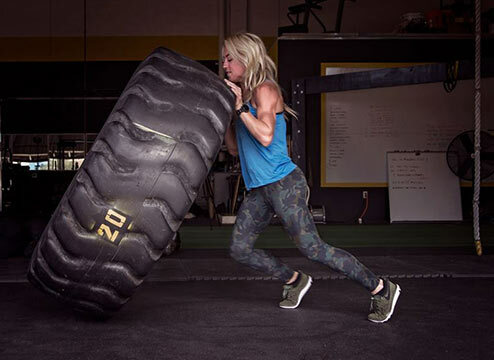 3/8” – Most popular for commercial gyms and CrossFit. 1/2” – Ultra-thick commercial gym / CrossFit flooring. 3/4” – Ultra-thick commercial gym / CrossFit flooring. 1” – Ultra-thick gym tiles that you can install over plush carpet or residential playground tiles. 2”+ – Residential & commercial playground tiles. Rubber flooring is one of the easiest flooring options to install. Here are a few popular questions on the installation process. Can you install rubber flooring over carpet? Yes, you can! 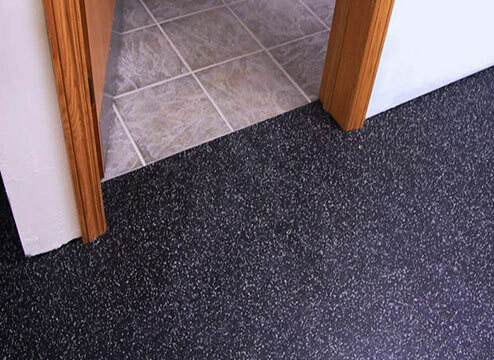 You can easily install rubber flooring over a short, low-pile carpet. Additionally, you can install ultra-thick 1” rubber tiles, such as Monster Tiles even over plush carpets. If you go for a thinner tile or rubber roll and cannot rip up your plush carpet, you can lay plywood over the plush carpet and install your rubber flooring over your plywood. Can you seal rubber flooring? You sure can. We offer a Rubber Floor Finish and Sealer that you can use over over interlocks and seams to keep liquids from seeping into your subfloor. How do I cut rubber flooring? Sometimes you end up with a little extra material. Not to worry; learning how to cut rubber flooring is quite simple. Measure it again. No, really. You can’t go back once you make a cut so we always say to measure twice, cut once. Place your straight edge on the chalk line and use a sharp utility knife to score your floor, adding a deep crease in the rubber. Pick up the rubber and bend it at that crease to break it open further. Return the rubber flooring to the ground and continue scoring the rest of the way through until your cut is complete. Once you have your floor, you want to keep it looking sharp. Here’s how you’ll take care of it. Good news; learning how to clean rubber flooring is super easy. Give it a quick vacuum to get rid of any loose crumbs, dust or debris. For ideal gentle soaps, you can purchase Tide laundry detergent or Dawn dish detergent. Or, get everything in one place – we offer some cleaning and seam-protecting solutions for your convenience. Rubber Floor Cleaner and Degreaser. Your easy, all-in-one rubber floor cleaner. Seam Sealer. Use this on the seams of your tiles to prevent liquids from seeping down into your subfloor. From the rubber smell to environmental responsibility, a few more common customer questions. So…maybe doing burpees? But that just gives you an excuse not to hang out down there and get movin’! How do I get rid of the rubber smell? As I mentioned above, letting your rubber air out is the best way to reduce the rubber smell. Additionally, you can give it a nice wash with a mild soap and water cleaning solution like Dawn or Tide. This will help alleviate some of that rubber smell. Absolutely! In fact, most rubber flooring options are made from recycled rubber. Did you know each rubber tire creates approximately 40 lbs of rubber flooring? That means that every 100 sqft gym saves about 5 tires from ending up in our landfill. Additionally, almost all of our rubber flooring options are made right here in the USA. Choosing American-made product reduces your carbon footprint by reducing carbon emissions associated with transportation, according to Recyclebank.